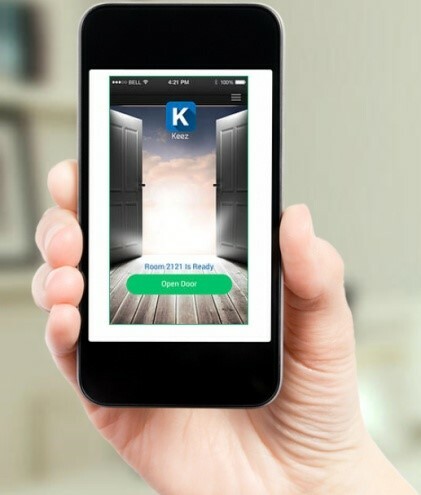 Guestline's integration to the Keez app enables guests to check-in to their pre-assigned room and open their door from their smart phone. The app, which is integrated with Guestline's Rezlynx property management system, will improve check-in and out processes, saving guests time and effort and enhancing the overall guest experience. Meanwhile, the hotel will be able to reduce costs, drive repeat bookings and improve customer service. With more emphasis being placed on mobile technology and apps, the Keez app offers guests a quicker check in service as well as offering guests the ability to communicate direct with the hotel to order room service and notify the hotel of any maintenance or concierge requests. Guests can also receive updates and personalised marketing messages from the hotel via the app thereby driving the potential for additional revenue. This new technology is also likely to drive repeat business. At Hotel 2020, it was announced that 46% of millennials agreed that being able to check in/out using a mobile device would motivate them to return. For more information, please contact Guestline here or, on sales@guestline.com. Thanks for sharing this. Check favorite Tv serial yeh rishta kya kehlata hai cast real name. I posted about black boys haircuts list which you may like to see.